Orange And In Charge - Invite Vitamin A Out to Play! REAL vitamin A foods, please come out and play! Although taken for granted as ideal vitamin A foods, these plants provide only the precursor to vitamin A, carotenoids. Interestingly, we need to be consuming true vitamin A foods, foods containing retinol, to meet our vitamin A requirements. So let's break it down. Animal sources of retinol are bio-available, which means the body can utilize it. The vitamin A from plant sources, in contrast, must first be converted to retinol to be useful in the body. This poses two problems. When we are in perfect health, it requires at least six units of carotenes to convert into 1 unit of retinol (source). That means a person must eat 4 1/2 pounds of carrots to potentially get the amount of useable A as in 3 oz. of beef liver (source). What happens if we have digestive issues, hormone imbalances, or other health problems? It requires even more units of carotene in the ratio. In those who have compromised bile production (think: gallbladder and digestive issues) (source and source). So, carrots as a Vitamin A food? Probably not. As with other orange veggies, sweet potatoes provide carotenes. 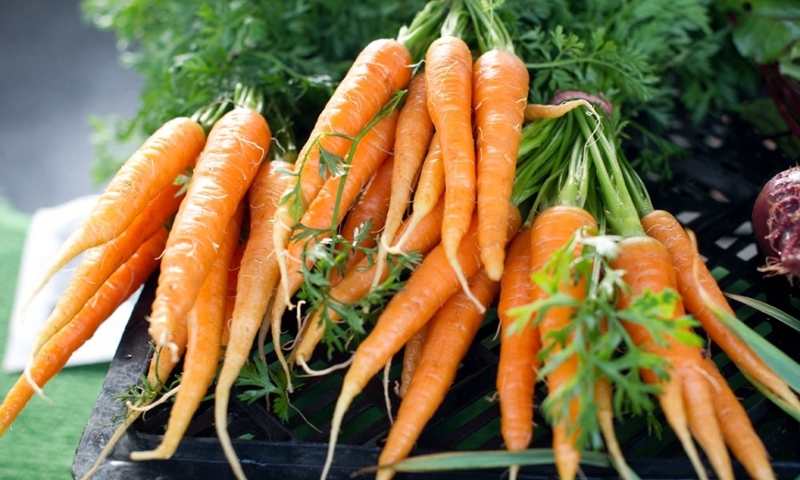 Although beta carotene is an antioxidant, it is not true vitamin A. We must eat true vitamin A foods on a daily basis to meet our requirements for this essential nutrient. So What Are True Vitamin A Foods? True vitamin A foods – What foods give the body retinol, not carotenes? Liver from any animal, enjoy pasture-raised liver 2-3 times per week or take desiccated liver capsules daily. Fermented Cod Liver Oil, which is higher in vitamins. Egg yolks from hens foraging in pasture, ideally enjoy 2-4 egg yolks per day. Heavy cream from grass-fed cows. Without a doubt, regular consumption of raised liver is the most effective way to consume optimal levels of this vitamin. Men, women, children, and infants should consume liver on a bi-weekly basis. (This book explains how and why to feed liver to your baby). If you don’t enjoy eating liver or liver pate, I think that desiccated liver capsules are a nonnegotiable supplement for overall health and hormone balance. From the Inuit in Alaska to the Maori in New Zealand, traditional cultures inherently understood the importance of consuming animal products. That’s why all “primitive peoples” (as Dr. Price called them) from across the globe without exception ate some form of animal products. For more information on the unbreakable dietary laws of traditional peoples, read Dr. Price’s recorded research in his book. A vegetarian may be able to meet daily vitamin A requirements by emphasizing pastured egg yolks and grass-fed dairy products. If I could suggest one meat-based product for a vegetarian to consume, it would be desiccated liver capsules. Liver is the best source of vitamin A and, gram-for-gram, the most nutrient-dense food. 50,000 IU of vitamin A per day? Is that for real? Popping multivitamins won’t address vitamin A deficiency because your body simply cannot utilize the isolated, synthetic vitamin A. For those who do not receive 10-20 minutes of daily mid-day sun exposure, I recommend taking an absorbable vitamin D supplement taken daily. I never skip my dose a day. Experts advise a regular vitamin D serum test if you are taking any type of vitamin D supplement. Learn more from Dr. Mercola about vitamin D serum tests. Vitamin A is a fat-soluble vitamin. So, we won't be able to consume adequate vitamin A or absorb this vitamin A if we are on a low fat diet. (PERIOD.) Fortunately, Mother Nature, in all of her wisdom, designed the foods rich in true vitamin A to contain the fat we need to utilize the vitamin. In particular, butter and animal fats such as lard and tallow stimulate bile release and therefore aid in A absorption and the conversion of carotenoids to useable A. Although these fats nourished our ancestors, animal fats were shunned by recent generations. I.E. The low fat craze. This was due to poor science. Fortunately, the low fat era is coming to an end as we shed light on the fact that old fashioned fats are good for us! Thank the Lord because I love me some kale and butter!!! Have a favorite Liver recipe to share? Please do!